Thursday January 26th – it’s a great day to be ’round the Square. 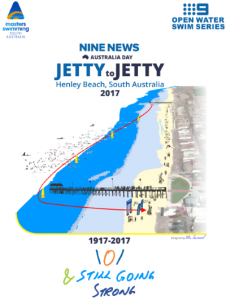 The Channel Nine OWS – Nine News Australia Day Jetty to Jetty 2017 starts at Grange Jetty at 10am. and finishes at Henley Jetty, where presentations are held. A Masters Swimming SA event. More info here. Plenty of places ’round the Square will be open. Next Next post: We celebrate winter at Gorgeous Henley!